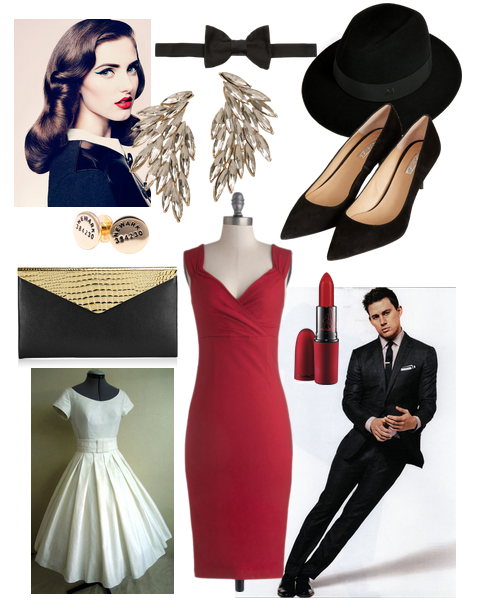 Inspiration for what to wear to Red Carpet Opening Night! Opening night at Seattle Opera can only mean one thing for fashionistas: Come see and be seen! The Seattle Opera premiere of The Consul, Gian Carlo Menotti's Cold War era thriller, is no different. If you have tickets to opening night, it's time to get out your best hour-glass silhouette dresses and favorite shade of red lipstick, or, perhaps a tailored suit and skinny tie in honor of the opera's early '50s setting. Get to McCaw Hall in advance so you can walk the red carpet, have your photo taken by our photographer (or by your handsome date with an iPhone). If you're camera shy, simply enjoy the chic patrons in their mid-century best as you're greeted by searchlights and festive decorations. Don't forget to join the conversation on Twitter, Facebook and Instagram with #SORedCarpet and #TheConsul! The Consul is a thrilling and universal story of a woman searching for a better life for her and her family. The American music-drama enjoyed a wildly successful run on Broadway in addition to winning a Pulitzer Prize. The opera runs for seven performances from Red Carpet Opening Night on February 22 through March 7. The Consul Production Sponsor: Kreielsheimer Endowment Fund. Marcy Stonikas‟s performances are sponsored by Jim and Gretchen Faulstich. The National Endowment for the Arts supported this production of The Consul. Additional costume support from Michael G. Dryfoos and Ilga Jansons. 2013/14 Season Sponsor: The late Gladys Rubinstein, in memory of Sam Rubinstein. For more information, visit seattleopera.org/theconsul.